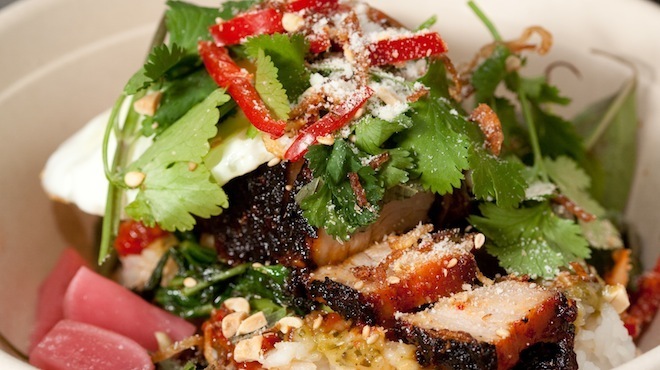 Hungry for some of LA's best dishes? 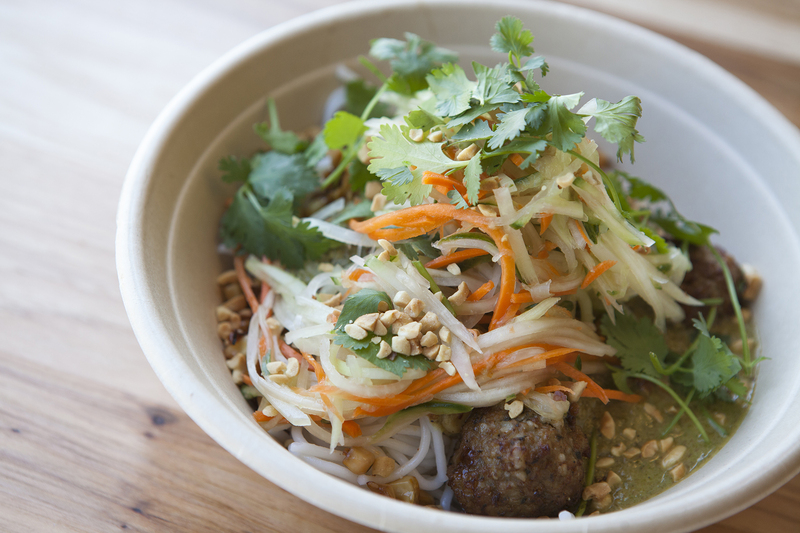 Check out the city's tastiest rice bowls from gluten-free vegan to spicy Thai. The best dishes in Los Angeles don't always come topped with truffle shavings or wrapped in bacon. To satisfy our hunger pains (and—ahem—gourmet taste buds), we hit the spot with meal-in-a-bowl rice bowls. 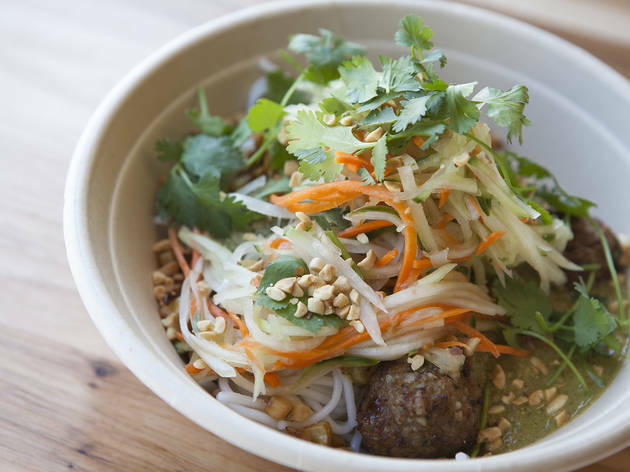 And with the recent opening of Shophouse (one of our Hollywood's best restaurant bets), we think these humble bowls will reach new, trending status. 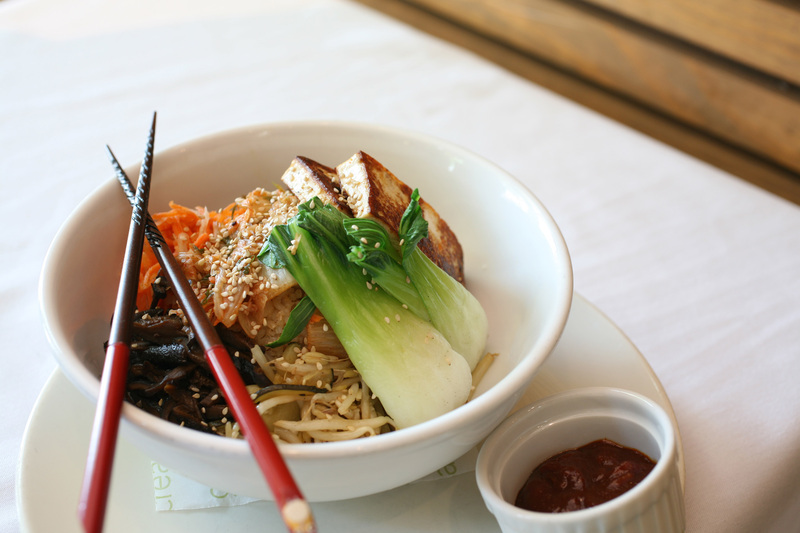 From spicy Thai and haute Korean to gluten-free and vegan, here are five rice bowls to try now. From Korean-Mexican taco trucks to brick-and-mortars (now, four and counting) Roy Choi (of the legendary Kogi) has reached cult status in this town. And with the reopening of Chego, Choi fans make the pilgrimage from Palms to Chinatown to "go bowling...with rice." Rice bowls are packed with gourmet-meets-comfort food combos such as Spam, kimichi, scrambled eggs and bok choy ($8) and the veg-friendly Leafy T ($8) of chile, garlic and tofu rice topped with fried egg, Thai basil, water spinach, Chinese broccoli and fried shallots. 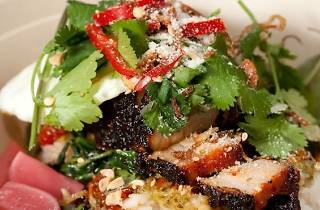 The Chubby Pork Belly ($9)—red pepper paste-flavored Kurobuta pork mixed with fried egg, pickled radishes, water spinach, Chinese broccoli, cotija cheese and chopped peanuts—hits a strike every time. The Dude better watch his back. If Venice embodies the feel-good California lifestyle, then Abbot Kinney is its mecca and Axe its culinary shrine. The long-standing neighborhood fixture is where hard bodies break bread with bohos and crunchier free spirits. Dinner offerings include California plates (i.e. 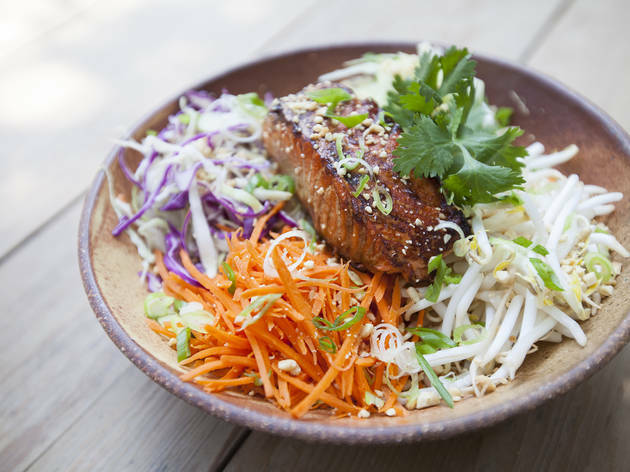 local, seasonal), while the lunch and brunch menus boast salads, soups and sandwiches and the basic bowl ($12)—a generous helping of brown rice, bean sprouts, cucumber, cabbage, carrots, peanuts, cilantro and sesame-lime dressing. Protein seekers can add on housemade sausage ($8) grilled fish (MP) or chicken ($6) or if you're feeling saintly with this healthful bowl, tofu ($4). 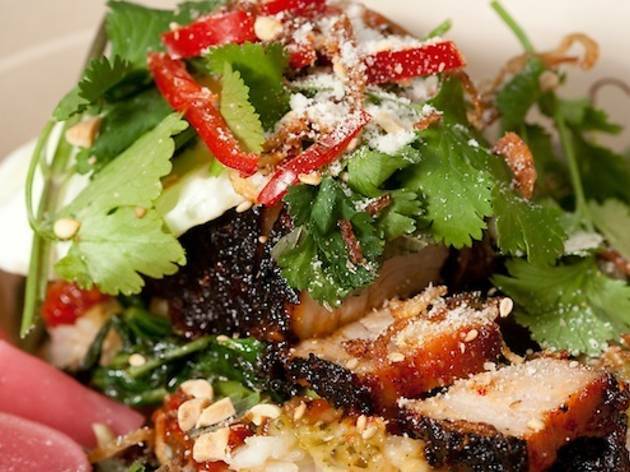 Welcome to the new age of fast food dining: Chipotle expands from burritos to bowls, taking a trip to Southeast Asia. Customize your rice bowl ($7.50) with brown or jasmine rice, rice noodles, Napa cabbage, then pile on meat—grilled chicken satay, grilled steak laab, pork and chicken meatballs or veg-friendly tofu—and veggies (broccoli, charred corn, eggplant and Thai basil, green beans). Finish with your choice of sauce, garnish (papaya slaw, pickles, herb salad) and crispy toppings (toasted rice, crispy garlic, crushed peanuts). 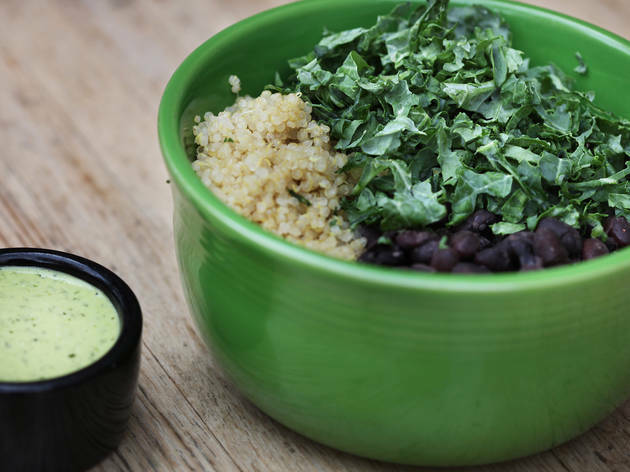 This budget bowl packs in bold and spice—hello, green curry—you won't find at your average grease-bomb joint. Affirmations at lunchtime mean professing, "I am awesome" or "I am dazzling" to earn plates of vegan (and often raw) plates from burgers to eggplant "Parmesan." We like to get Fortified ($13) on sautéed seasonal vegetables mixed with brown rice, quinoa or both, or mixed with kale and black beans for a suggested donation of $7. Budget diners rejoice, "I am thrifty!" Macrobiotics get their fix of flour and gluten-free plates—from buckwheat and spelt blueberry pancakes to rolls stuffed with spicy tuna or almond "rice"—at this veg-friendly hot spot. 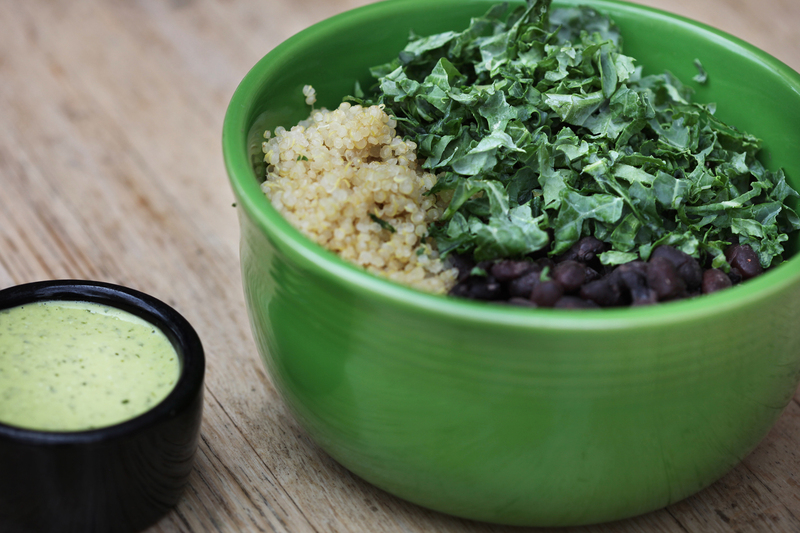 Our go-to, round-the-clock order is the rice bowl, which starts with organic Kokuho Rose brown rice or quinoa. 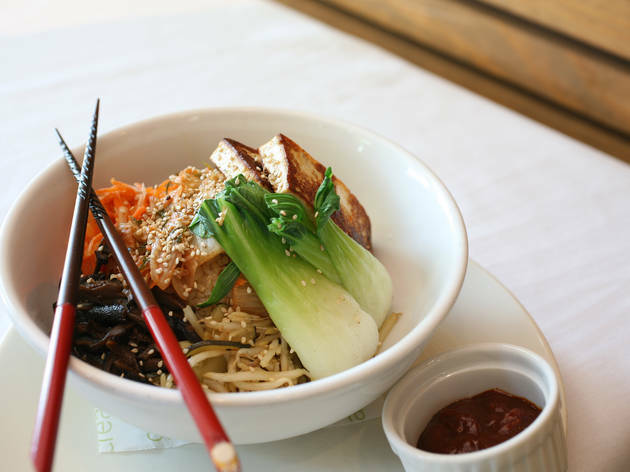 We like the teriyaki bowl with tempura or steamed seasonal vegetables, pickled daikon and carrot and sweet teriyaki sauce and Korean-style bi-bim bop with root vegetables, spicy miso sauce and housemade kimchee. Meat-eaters (i.e. pescatarians) need not feel shame. 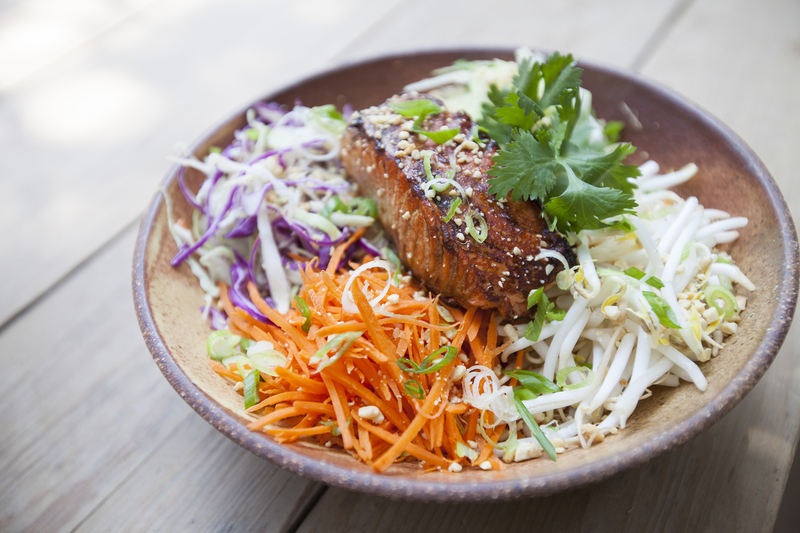 There's salmon ($14.75) and black cod ($15.95) to fill your bowl, along with tofu ($9.95), crispy seitan ($13.95), tempeh ($11.95) and black beans ($9.95).